Halloween is my favorite excuse to dress up, so as part of a sponsored post for Collective Bias®, I created these simple pin up waves using the Conair Curl Secret. 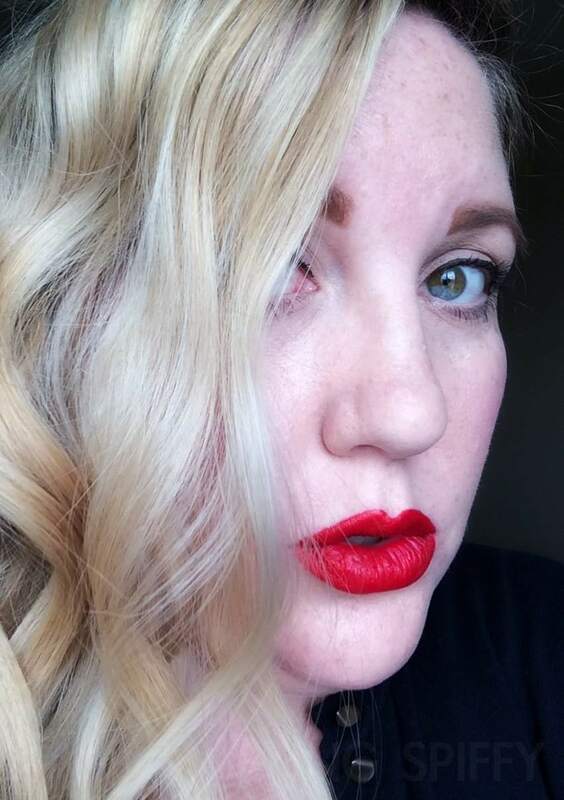 My hair is notoriously hard to curl, so I was anxious to try out the Curl Secret to create my pin up waves. This unique take on a curling iron did an amazing job of creating a long-lasting look. I've used it a few times since and it really does create uniform curls quickly. That's important when you have 3 children that demand a lot of my time. See for yourself and create your own Pin Up Waves with my video tutorial. Step 1: Curl your hair with the Curl Secret curling tool. For more detail of how to use the Curl Secret, here's a video from Conair. Step 2: Brush out curls into waves. Use a softer bristled brush brush. Avoid a paddle brush or one with hard plastic bristles. Step 3: Set waves with bobby pins. Allowing your waves to set in place will ensure a you get pin up waves . Steps 4 & 5: Remove bobby pins and swoop hair to one side. For a Veronica Lake look, cover one of your eyes with your hair. To recreate this look, or hundreds of others, grab your own Curl Secret. I bought mine at Walmart since it's only $99 there compared to $150 at www.buycurlsecret.com and www.curlsecret.com. For more inspiration, view Conair's Pinterest board. Search for #ConairCurl on social media for more amazing looks! If you'd like to see my shopping experience, view my Google+ album.